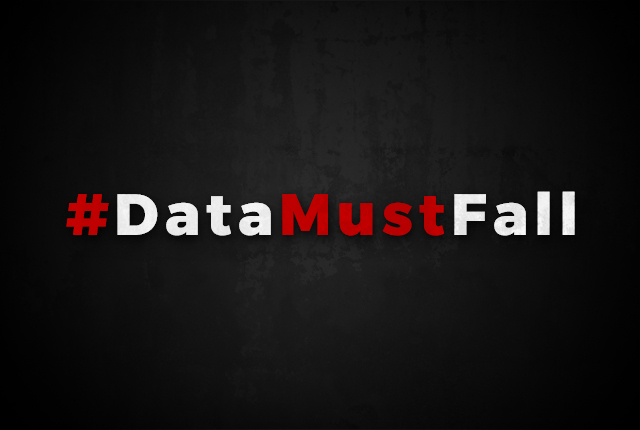 #DataMustFall has become a popular slogan in the fight for lower mobile data prices, but the campaign risks doing more harm than good. Just like the political slogans “White Monopoly Capital” and “Radical Economic Transformation”, “Data Must Fall” has become a statement of little true value. And just like Bell Pottinger’s campaigns, the target of the Data Must Fall is big business – shifting the blame away from the real problem, the ANC government. To be clear, I am not defending R2-per-MB or other high mobile data prices. In fact, I think these prices should be lower, especially when mobile data is the only means of accessing the Internet for millions of South Africans. However, the focus of the campaign should be the failure of the ANC government rather than the mobile operators. Over the past 10 years, the Department of Communications and the Department of Telecommunications and Postal Services have failed to improve the local telecoms market. Digital TV migration had to be completed by 2011, but this deadline has been moved back numerous times. The spectrum assignment process has dragged on since 2006, which means spectrum that can make mobile broadband faster and cheaper is wasted. Without additional spectrum, operators have to roll out more sites and invest more in their networks to provide a high-quality broadband experience. These costs are passed to consumers, who then pay higher data prices than they should. When OECD telecoms analyst Taylor Reynolds was asked what should be done to improve broadband access in South Africa, his answer was competition. Reynolds said aggressive price reductions and better services in the market were always a result of competition. South Africa’s mobile broadband market has enough infrastructure players, with Vodacom, MTN, Cell C, Telkom, and Rain operating networks. 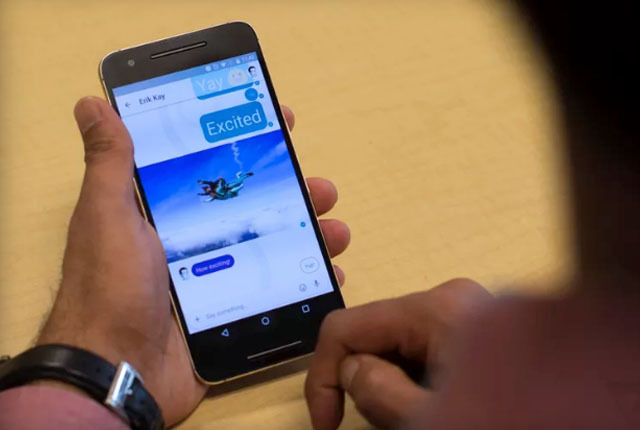 Assign more spectrum to the operators, which will lower investment costs and let them cut data prices. Make it easier for operators to roll out networks, which lowers operational costs and helps new players. Make it more affordable for ISPs to offer mobile data services, which will fuel competition. The effect of competition on broadband prices can be seen in the ADSL market, where prices remained high for years, but plummeted after ISPs were allowed to enter the market. Instead of implementing measures to lower the cost for operators and help increase competition, the government is moving in the opposite direction. In its Policy White Paper it calls for radical changes in the telecommunications market, including the creation of a Wireless Open Access Network which all unassigned high-demand spectrum will be allocated to. This will remove network competition, which is incredibly stupid, as competition is the driving force behind better and cheaper broadband access. But don’t take my word for it – just look at the impact of Telkom’s fixed-line exclusivity in the nineties and early 2000s. The ANC’s deep distrust of free-market capitalism has resulted in numerous failed telecoms projects, and its Open Access Network is a disaster waiting to happen. Over the last year, MTN and Vodacom have invested R11.5 billion and R8.5 billion into their networks respectively. These investments allowed the operators to increase 3G and 4G data coverage, improve voice quality, and increase data speeds. This is aimed at improving a user’s experience, and the investments are far larger than the profits generated by data. South Africa has some of the best cellular networks in the world, which is thanks to the competition between operators. When people complain about mobile data prices, they often forget they have alternatives, like the Tshwane free Wi-Fi network. Over the last decade, local governments have spent billions on their own telecoms networks, with the promise of offering citizens affordable broadband services. However, few people use these networks by choice, due to their lack of coverage and poor service levels. People prefer mobile networks, as they offer excellent coverage and great performance. The only reason these high-quality cellular networks exist is because companies want to make money. To now attack these companies and remove their ability to make profit means they will cut their network investments, which will result in users having a terrible experience. Data Must Fall is shifting the blame from the ANC government to Vodacom and MTN, which is unjustified. To make the digital migration happen without missing deadlines, to assign spectrum within strict time frames, and to create effective pro-competitive telecoms policies is hard work, and the easy way out for politicians is to blame big business. So, the next time you see Data Must Fall slogans being thrown around, know that the ANC government is the organisation you should direct your complaints to. To picket against Vodacom and MTN is the same as marching to the JSE to fight “White Monopoly Capital” – you are doing the work of the true guilty party.